Hiphop Aadhi has played the lead role in the newly released film, Natpe Thunai directed by Parthiban Desingu. The actor-musician has also composed music for the film. Hiphop Aadhi is paired alongside Anagha in this sports drama. Meanwhile, there is some exciting news in store for fans of the musician. The actor has confirmed that he is set to unite with music composer Anirudh in actor Sivakarthikeyan's upcoming film Mr. Local, directed by M.Rajesh. The rapper-turned-actor took to Twitter to publish this exciting news. Anirudh has crooned a single number for the film titled 'Takkunu Takkunu', composed by Hiphop Tamizha and the track is said to be releasing tomorrow, on 6th April.The song is expected to be a racy number. 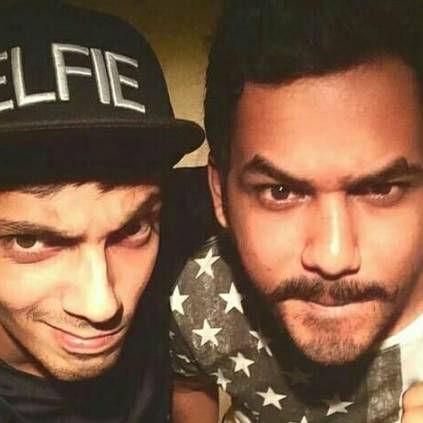 It is noted that Hiphop Tamizha's had earlier collaborated with Sivakarthikeyan and Anirudh for the 2013 hit Edhirneechal, for which Hiphop Tamizha sung for a song composed by Anirudh. The trio is teaming up after a gap of six years. People looking for online information on Anirudh, Hiphop Tamizha, Sivakarthikeyan will find this news story useful.